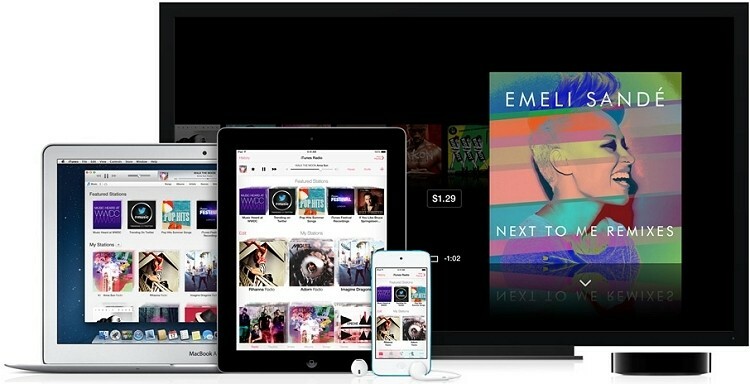 Apple is expected to flip the switch on iTunes Radio starting next month, the company’s streaming music service that was officially announced at WWDC back in June. We’ve known that the service will be available free of charge with ads or completely free for iTunes Match subscribers but just how many (and what type) of ads would run has been an unknown – until now. iTunes Radio will run three different types of ads according to people familiar with the service as reported by AdAge. Free listeners that don’t have iTunes Match will be met with an audio ad every 15 minutes and a video ad every hour. We’re told the video ads will only be served to users when they are most likely to be looking at their devices such as just after tapping the play button or skipping a track. The third type of ad is an interactive “slate” ad which will fully consume the display. They will be present on the iPhone, iPad, desktops and laptops running iTunes and over Apple TV. At launch, advertisers will be running ads across all platforms but starting in 2014, ad buyers will have the ability to target specific devices. What’s more, the cost of ads will increase based on the size of the display they are shown on (we assume this applies only to visual ads). As such, ads will be cheapest on the iPhone and most expensive on Apple TV. The service will debut with a number of high profile brand partners including McDonald’s, Nissan, Pepsi and Procter & Gamble. A 12-month advertising campaign sells for anywhere between the high single-digit millions of dollars to tens of millions, sources said.